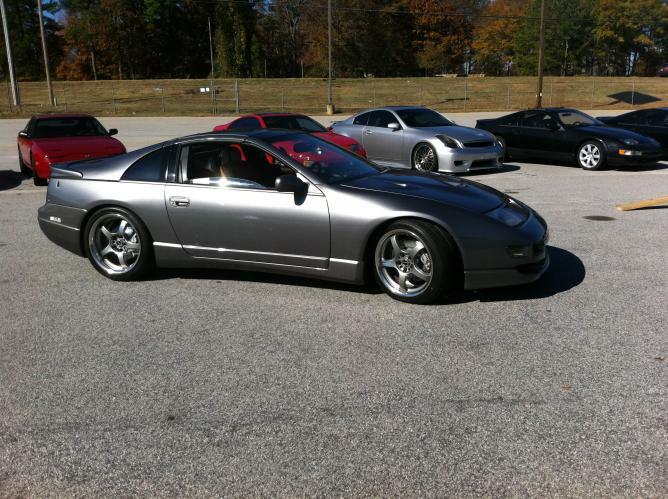 1990 300ZX TT Fairlady 5 spd. Heavily Modified Custom w/Water Meth Inj. Description: This is a highly modified 1990 Z32 300ZX Twin Turbo with Water Methanol Injection 5 spd also known as the Fairlady. 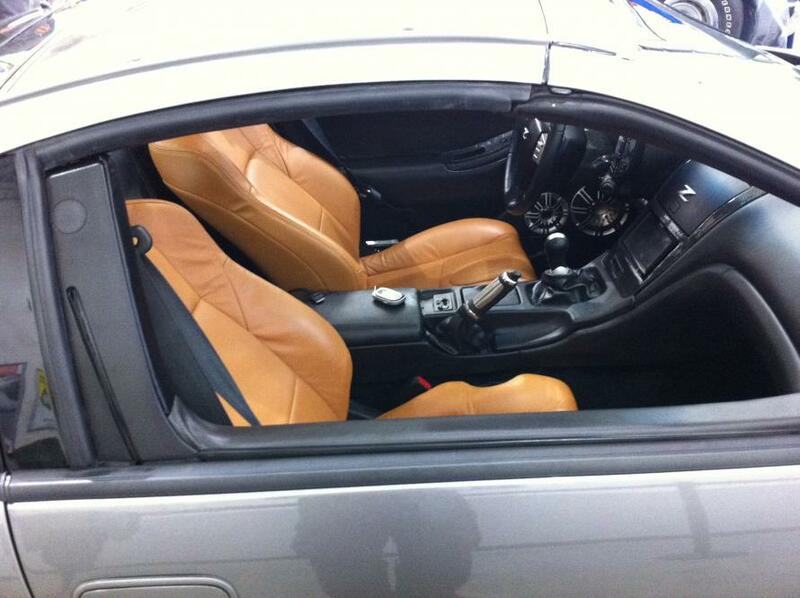 2x transmissions, 1x intake manifold, all new interior trim bezels, and much more! I'm moving to Germany for the Army and have to sell. 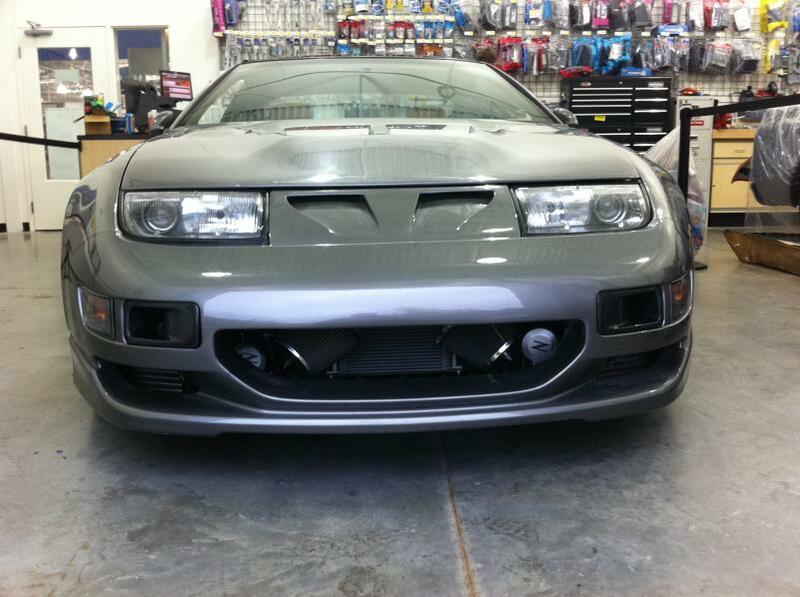 The body is almost all factory paneling, aside from the painted over carbon vented hood and the rear valance. The Front bumper is a J-spec 96' turbo facia with exposed carbon vent funnels where the fog lights used to go and the side-skirts are glass recreations of the J-spec Fairlady originals. All new glass and seals, T-top Moulding and bar, and we replaced the foam rubber wing with a high-grade painted glass one. 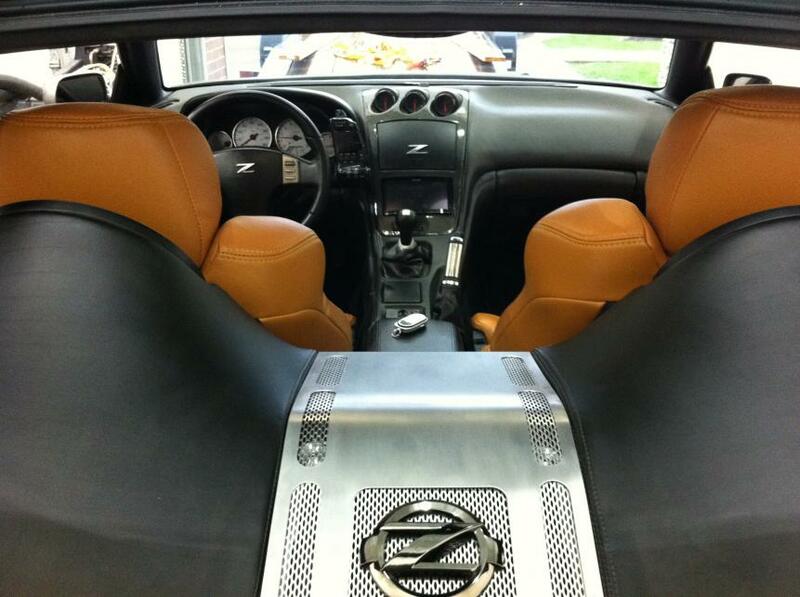 The lights are new all the way around, with the fronts converted to HID 10k's and body colored interior bezels. The wheels are brand new body colored with chrome lip gram-lites 5-spoke off sets, custom built for this car, and are wrapped with brand new Potenza RE760 Sports (275R/245F) x 18's. The paint is nearly flawless aside from where the tow truck rested the front bumper lip on a lifting bar and flaked it a bit. The paint is a 9 stage "Spies Hecker" custom mix made for the Aston Martin DBS called Tungsten Silver, and is covered by 5 coats of clear. A second new unpainted rear valance will come with the car that I decided looked better, but never got around to installing. This car was rebuilt from the ground up, not your average repaint and power-adder job. where needed. Fully adjustable powertrix control arms and electronically adjustable Tein SS coil overs keep the wheels on the ground. 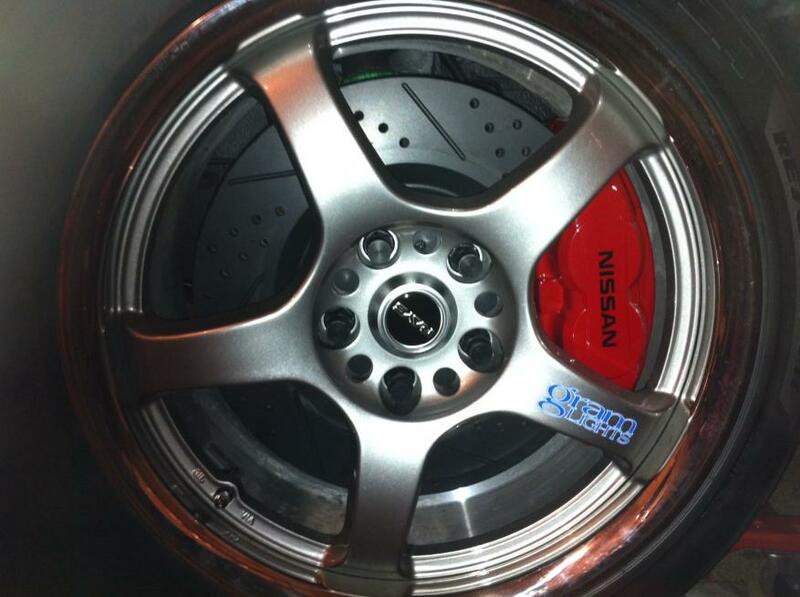 The brakes were upgraded to the 2011 370z track calipers and 14" rotors with EBC pads. 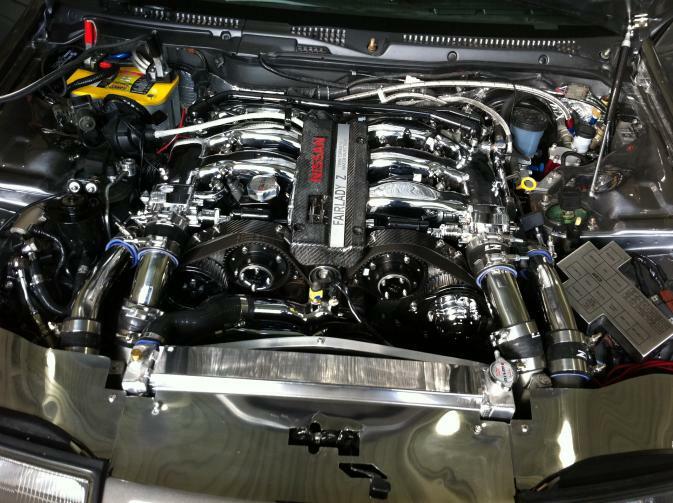 The engine is a highly tuned VG30DETT, torn completely down and re-machined .20 over with weico forged pistons, formula hardened bearings, eagle forged rods, and cleared and enlarged oil paths. The coolant galley was cleared of factory casting to improve flow, and the heads and block were decked slightly to increase compression and for a better seal. The block is assembled with mostly ARP hardware, to include the heads which are now ARP studded, mated via a cometic metal gasket. The cams are a mild grind, spun by the latest upgraded Nismo VTC gears available. pumps into both sides of the manifold. Oil is provided by a new pump, through a oversized front-mount cooler. The engine is cooled by a single high-volume spal fan on a digital controller. When I stopped working on the project I was in the replacement and layout phase of installing a new standalone engine management computer from Haltech, made just for the TT Z32 called the platinum pro. The dash and air handling box are currently removed for the Haltech installation. digital sound processor. I have not yet purchased a head unit. A hidden nissan push button start button brings it to life, and a Viper Responder 5904 alarm with remote start protects it. Serious inquiries only! Cash Only! I will not negotiate price over phone or email. are worth more than the selling price!!! Clean title. Re: 1990 300ZX TT Fairlady 5 spd. Heavily Modified Custom w/Water Meth Inj. For $17K, think alot of folks would be expecting a completed project but it doesnt like this is the case. Can you post up pictures of the current condition of the car? By the way, if you haven't posted this on 300zxclub, zdriver, and nicoclub, you should. I don't know about that. That's a pretty damn good deal for what he has in it, especially if all you have to do is put the dash back in. Pictures would be nice though. Last edited by Yardjass; 02-08-2014 at 01:23 PM. I can understand your concern, but consider that I have more than that in just the body and the wheels and it is a different story. I've got over 50k in this thing, so I think 17k is a very reasonable asking price considering you could part it out for more than that if you aren't comfortable doing some wiring and tuning. 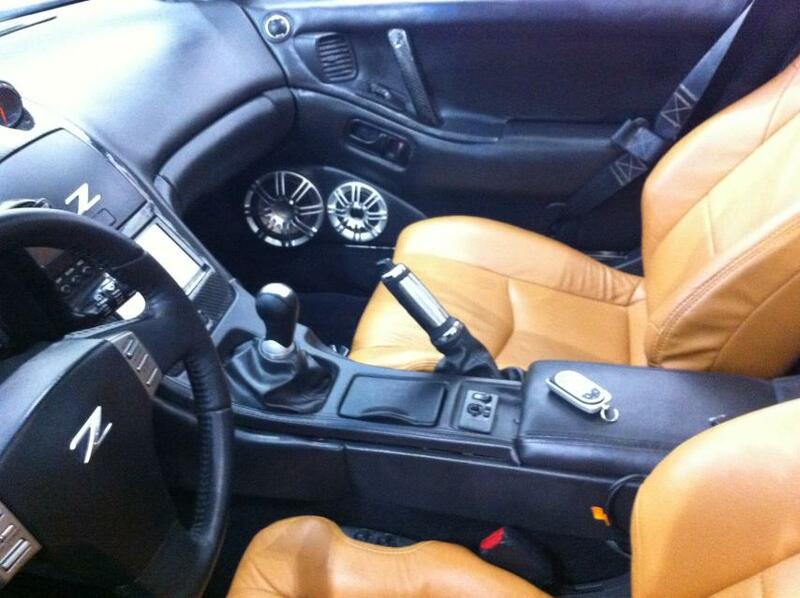 I was limited to 10 pictures, but I will try to get one of the dash removed. I know that this thing need work, but if it didn't, I would be demanding significantly more. Make me what you think is a reasonable offer so that I can concentrate on moving my family to Germany. slip-ring and the collar housing was extended with polished 2x2 carbon twill to take up the gap. A spare collar is included if you don't like carbon. 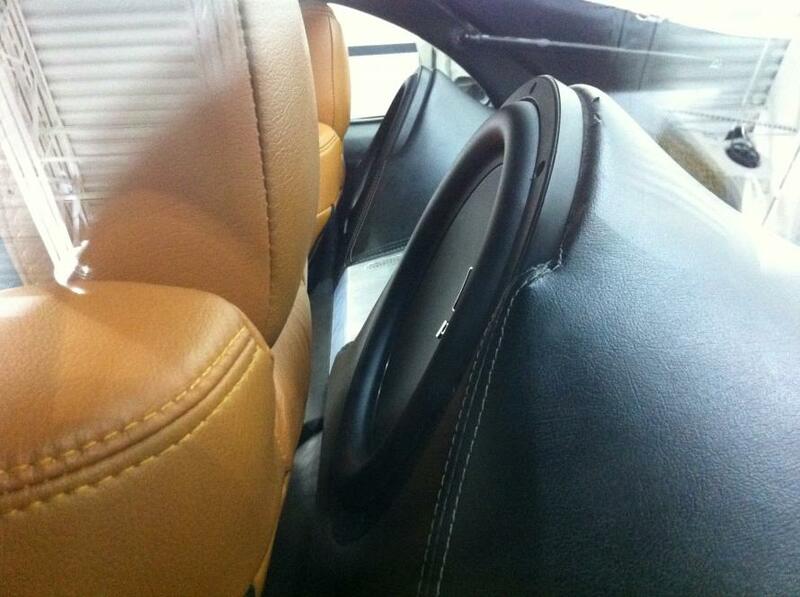 -NEW INTERIOR TRIM - T-TOPS, VENTS, DOORS, SEATBACKS, ETC. 12 Speaker Polk Audio System powered by Alpine PDX Amps, All interior lighting and buttons converted to LED, Full HICAS delete. Many more custom mods and parts! Thanks. I've never been part of any of those, but agree. I tried posting it to Twin Turbo.net and kept having issues. I just tried, but apparently I have to be a member for at least 30 days in order to post. Any help would be greatly appreciated. Post the pics up in photobucket or flickr...then link them back here. Also, I wasn't saying $17K is too much. I'm going more with you'll have alot who would want to see the car and end up wasting your time because they were not expecting to have to do work on it. Figured, it would save you the headache and pictures of current condition showing what needs to be fixed, should weed those folks out. Good luck with the sale, hopefully it goes to somebody who can finish it and enjoy the living crap out of it. dude bring it over and hurt 911 owners feelings at the Ring or on the Autobahn......that being said sorry for your loss and I can see how something like that can change the outlook of a project. 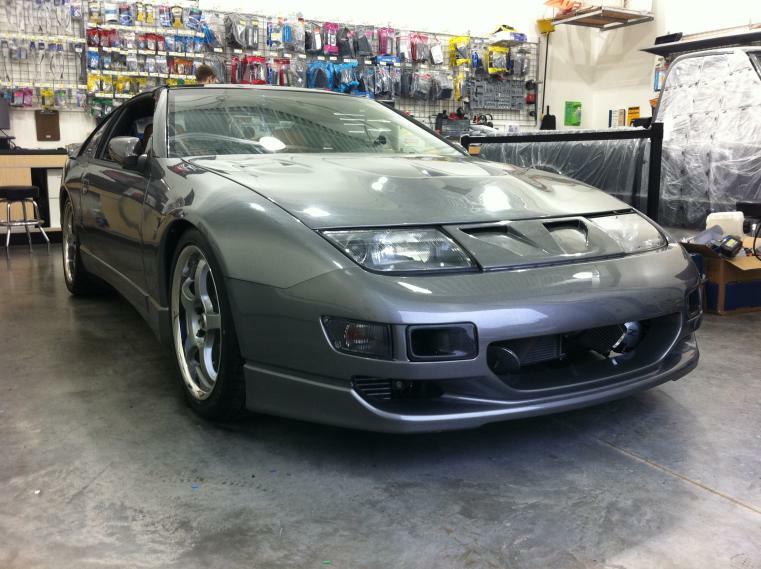 Quick Reply: 1990 300ZX TT Fairlady 5 spd. Heavily Modified Custom w/Water Meth Inj.